Our outpatient center in Lacey sits on the beautiful Puget Sound at the edge of the Cascades. The lush, open Pacific Northwest gives guests ample opportunity to experience the outdoors. In the summer, the climate, paired with Mt. Rainier as a backdrop, is ideal for activities such as kayaking, hiking, biking, and horseback riding. Some of our groups incorporate activities such as these, as well as ropes courses and equine therapy. During the winter, Lacey is a haven for skiers and snowboarders. 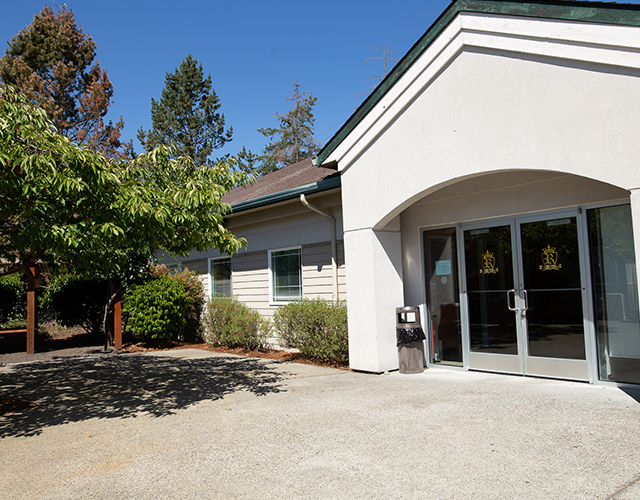 Most of our guests have completed detox at our adjacent medical detox facility, Royal Life Centers at the Haven, or RLC at Puget Sound (in Sumner), and residential inpatient treatment at RLC at Puget Sound. Designed to accommodate group and individual therapy sessions, RLC at Sound features rooms arranged in ways conducive to meeting new people, sharing experiences, and making self-discoveries. Guests at Royal Life Housing are also provided transportation to and from our facility for PHP/IOP. Additionally, plenty of community 12 step meetings take place daily in and around Lacey; PHP/IOP guests and those who live at our grad housing sober homes are provided transportation to and from meetings up to four times per day. Twenty percent of Lacey is used exclusively for natural spaces, with over 1,200 acres used for parkland and miles of nature trails, as a result providing guests the ideal setting for early recovery. Fresh air and open space encourage rest, relaxation, and mental and physical wellness, all essential to making the most of treatment and maintaining lasting sobriety. Long Lake Park— With 285 feet of beachfront, sand volleyball, BBQ stations, paddle board and kayak rentals, as well as plenty of trails for exploring, this ten-acre park is the perfect place to spend a weekend afternoon in summer or spring. Huntamer Park in Woodland Square— Offers concerts and movies during the summer months. Lacey Museum— The small, charming museum located in the heart of Lacey’s historic district showcases Lacey history through the years. At Royal Life Centers at Sound, we are committed to excellence in everything we do, including maintenance of our facilities and selection of our center locations. Please reach out to us at (877)-RECOVERY at any time with questions or concerns that you may have.